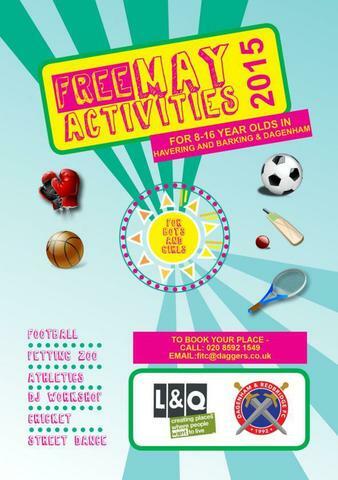 Barking and Dagenham will be providing a variety of free and affordable activities for children aged 5 - 17 years old who live within Barking and Dagenham, to keep them active and healthy between Tuesday 26 May until Friday 29 May 2015. Please be aware to take part in any ‘Schools Out, Get Active’ camps or activities you will need to have a Splash or StreetBase card. If you have lost your card and want to order a new one, just e-mail your name, address, DOB and School to help@splashcard.info or help@streetbase.info.